Art is often inspired by the things we see or experience in our daily lives. Ideas could materialize from theatre plays we frequented, books we read, travel spots we visited, sunrises we woke up to, even movies we watched. 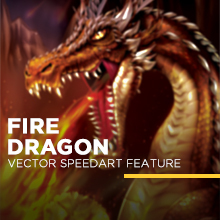 If you’re keen to try creating your own design, click here to try out this fire dragon tutorial!